Nestled on a tree lined lot at the far western end of Spring Street, this little gem is a voice from a much earlier time. 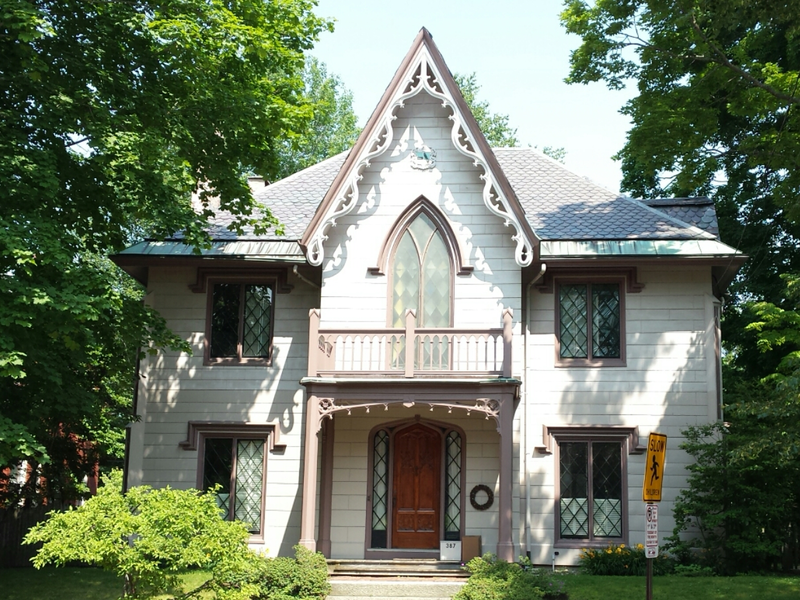 The Gothic Revival style is rather un-common in Maine. The style was, nationally, relatively short lived to begin with. Coupled with the local preference for the more ‘conservative’ Greek Revival and destruction of much of what was built when the Gothic Revival fell out of style, this has left very few great examples. 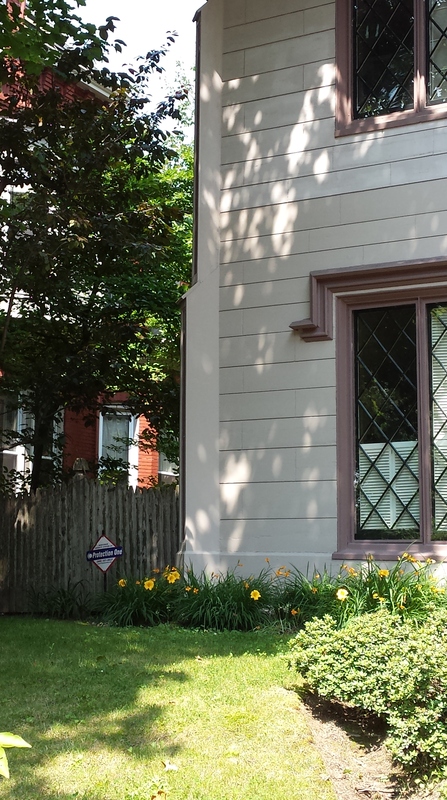 387 Spring Street is one such example. 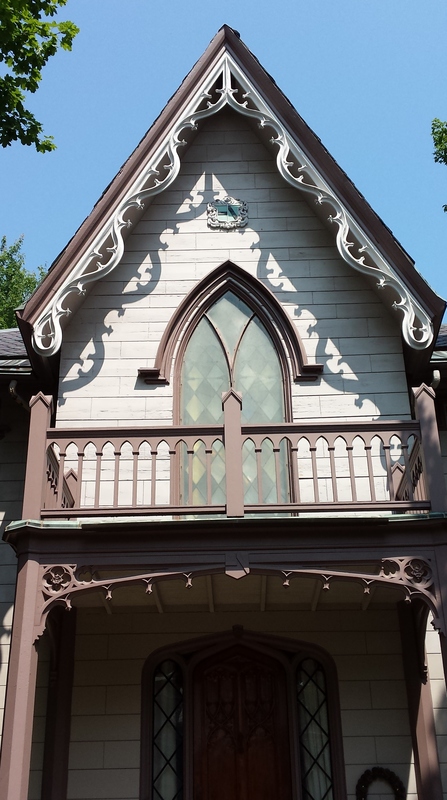 The Gothic Revival was seen as a response to the formalism and discipline of the popular Greek/Classic Revival styles. Borrowing from older English country and Renaissance Italian villas, the homes were intended for the newly popular suburban communities. It was less often seen in urban environments such as this. 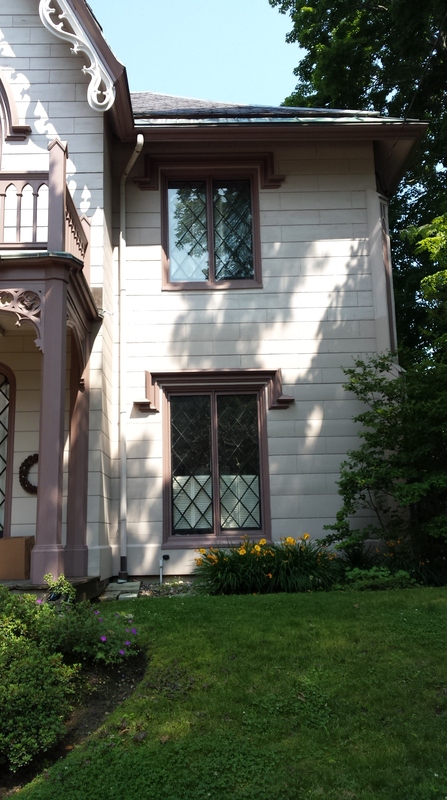 387 Spring Street was built in 1845 from designs provided by Henry Rowe. A small balanced structure, it could easily have been taken from the pages of Downing. The boards of the siding have been finished to look like stone work. Most likely, the original paint would have had sand added to increase the stone effect. Stylistic cues in the image above include the buttress on the corner and the drip caps seemingly draped over the window. Now for the moving part of the story. 387 Spring Street did not start it’s life at 387. 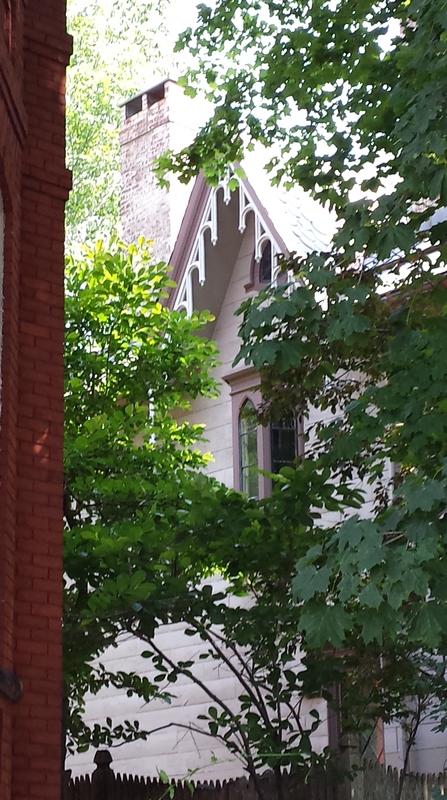 The original location of this house was 87 Spring Street. It was moved to it’s current location in 1971 to make way for the Holiday Inn by the Bay. Sadly, it is one of the few old houses saved from the clearances that happened under the guise of Urban Renewal. The 1924 tax rolls list the owners of the building, on its original lot, as the heirs of Horatio Fox. Valuation was $5444.00 combined. Reblogged this on Peter Bouchard.